In honor of Hispanic Heritage Month and our friends at the Latino Policy Forum, Women For Action interviews Sylvia Puente, Executive Director of The Latino Policy Forum. 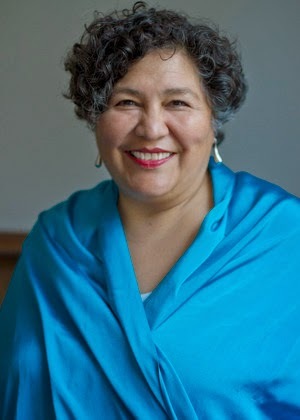 Puente was appointed by Illinois Governor Pat Quinn to serve as chair of the Education Funding Advisory Board and named one of the “100 Most Influential Hispanics in the U.S.” She was introduced to activism in her childhood and joined her mother on picket lines in support of the United Farm Workers. Realizing the conditions of farm workers, she used her voice as a mechanism for change, telling people not to buy grapes. Still today she is a proponent for change and justice. In her words, she endeavors to, "change the world as it is, to the world as it should be!" 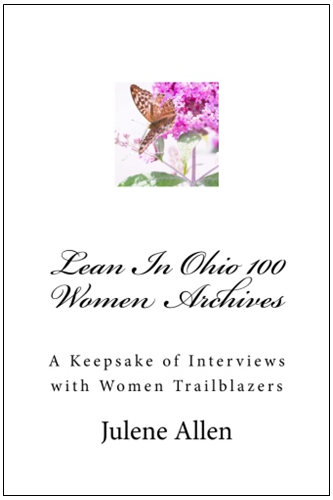 Women For Action: Can you tell us about you, your background and how you got started in your field of work? Sylvia Puente: I am a native Chicagoan. My family members have always been activists. At an early age, I learned that I could change the world as it is, to the world as it should be. My early activism in high school and college consisted of advocacy for the United Farm Workers and the grape boycott of the 1960s and 70s. I was first introduced to activism by my mother who took me to my first picket line when I was 13 years old. Out of that young experience, I saw that it's great to march and protest, but I also realized that it is very powerful if you can have research, data and the analysis to back up the issues, to find the equality or inequality. The gaps of equality or inequality— I realized somehow that I wanted to, not just say that things are wrong or say that things are unjust or not fair, but I wanted to prove it. It wasn't until I had my third job out of college, when I was working at our state capitol in Springfield, where I had a job at the Bureau of the Budget, (I was a budget analyst for the state government) that I realized that everyone else around me had a degree in public policy, but me. Being a first-generation college student, not knowing anyone who had gone to college before, I had no idea that such a discipline, even existed. When I learned there was a discipline of public policy and what it involved, I said, "Oh that's it! That's what I am looking for." So I pursued a graduate degree, and I spent most of the past three decades creating the world that it is to the world as it should be. Women For Action: In honor of Hispanic Heritage Month— Can you share a little about your family roots and heritage? Sylvia Puente: What I always tell people who ask me what part of Mexico my family is from— I respond, "Texas." Texas, as many know, once was a territory that belonged to Mexico. My great, great, great-grandfather, 5th generation on my mother's side— we didn't cross the border, the border crossed us. My parents migrated to Chicago as teenagers in the 1950s and I was born and raised in Chicago. Both of my parents' families were farm workers. For decades, they would travel from Texas to Oklahoma to Illinois to Wisconsin and Michigan to pick fruits and vegetables. They finally figured out one year that they could make a lot more money if they all took factory jobs in Chicago as opposed to the hard life, while understanding the plights, the hard work and difficult working conditions of farm labors. When the United Farm Workers emerged in the 60s and 70s, both of my parents were volunteers. They sought justice for farm workers. So it's literally in my blood. I am the oldest of five. Truly that's what I did a lot throughout my adolescence and all through my high school years. I spent many weekends picketing grocery stores, asking people not to buy grapes— talking about the plight and the poor working conditions of those that put the fruit and vegetables on our table. I spent summers volunteering with the United Farm Workers Movement. It was a movement for justice. Women For Action: Are you married and do you have a family? Sylvia Puente: I'm divorced. I have a grown daughter who is now twenty-seven and has lived in New Orleans over the past few years. Women For Action: How have you been able to balance your family and career? Sylvia Puente: I have only been an executive director for the past six years. I think the reason I didn't do it earlier in my career is because the responsibility of running an organization just felt like a bit much to do while being married and raising my daughter. So I've always had jobs working on Latino policy and Latino policy issues. But I did not take on the role of being an executive director until my daughter was nearly grown. When you are working for justice, it's always a challenge to maintain a work-life balance. Obviously, you must have a supportive spouse which is why I only had one child; if I knew I could have more children, I still would not have had more because I don't feel I would have been able to give them as much as they needed. That is why I did not become executive director until my daughter was almost grown. Women For Action: Your organization, The Latino Policy Forum has proposed a large new initiative to get 5000 Latinos registered to vote this year. How is this mission going? Sylvia Puente: The Latino Policy Forum is primarily a policy and advocacy organization. Although, we do a lot of leadership development and training, we've come to the conclusion that having a good policy idea is not enough to create change. Showing the policy is not enough to create change in our increasingly political environments and in our increasingly resource-restrained environment. Giving the state of the fiscal crisis and diminishing resources and all, we also need to show that we have organized people and that we have a base of people who can get out to vote. So that was the impetus for us deciding to undertake this effort. A couple of our staff members are working on this. But with an effort like this, you need a good volunteer base. I am heartened by the commitment by those that are volunteering their evenings, their weekends to go through every corner of the region to help us register people to vote. 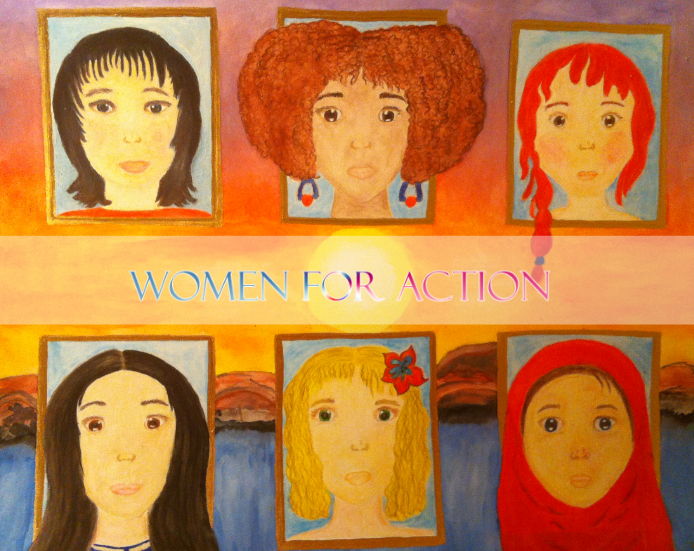 Women For Action: Given light of this new initiative, what are some of your dreams for the Latino community? Sylvia Puente: Unfortunately, inequality in the American society is still largely defined along racial and ethnic line. So my hopes and dreams for all these initiatives that we are working on is that we will have more children enrolled in early education. We will have more people who will live in affordable housing. We will have just immigration reform. And we will have strong Latino communities, strong Latino community organizations, and a solid base of leadership as we work to promote equality and justice for the Latino community. Women For Action: Some may refer to you as powerful and influential. Would you say that your culture would be traditionally supportive or conflicting of such a role for women? Sylvia Puente: I think cultural factors may pose some challenges for women to take fully on their leadership strengths. However, for me, it's never been an issue. I've always supported my family. I've always (from the time I was 13 walking the picket line) had this vision, capacity and ability to use my voice to the help others. So I am not going to say that there hasn't been any hurdles, but truly the only hurdles that are there, are the ones - the chains that we put around ourselves. I have refused to put those chains around myself. I have refused to limit myself. Women For Action: So you are leading the important initiatives within the Latino community and the state of Illinois, and even been named one of the "100 most influential Hispanics in the U.S." How does it feel to have such importance and influence? Sylvia Puente: One of the most important attributes within the Latino community is humility and humbleness. I certainly don't do it alone. I get to sit in this chair, and I am fortunate and blessed that I get to sit in the seat that I do, and lead the organization that I lead. But I don't do anything alone. So I never feel like I'm the only one. I mean I have an incredible staff; we have amazing leaders. We work with fantastic community organizations. The leadership that we undertake comes from the community leaders that represent those organizations. So what we're doing is what they are asking us to do. Plus we're all doing it together. The strength of the Latino Policy Forum is a result of an active regular partnership and engagement with over 100 Latino organizations through our early Childhood Education Acuerdo, Housing Acuerdo, Immigration Acuerdo, Leadership Academy, and Latino Agenda. So truly all the initiatives that we work on come from the leadership within the Latino community. It is the power of "we" and the power of "we leadership". There is no one person that drives it. We do it collectively. Women For Action: Do you see yourself extending your work throughout the Latin American countries? Sylvia Puente: Well, I have been fortunate to receive an invitation to take part in overseas travels to study and understand immigrant integration in other countries. That's been another fascinating experience where I've got a global view on immigration, integration and the challenges and initiatives that immigrants face in Israel, Spain, Belgium and Germany. I did research in Mexico too, to see the direct experience of where people come to Mexico from the United States in terms of what their origins are, what their opportunities are like, and what was drawing Mexican immigrants to the United States. So I feel fortunate that I have had those experiences. Of course, those experiences have shaped my worldview, and shaped my understanding of immigration, globally as well as locally. I'm privileged to be able to bring some of these lessons learned into understanding immigrant integration into what we do here in the Unites States and what we do here at the Latino Policy Forum. Sylvia Puente: Like so many others in our community, I would say I was the first of my family and extended family ( with over 100 cousins) to finish college and to finish graduate school. And I am proud that my daughter has now finished college. I am proud and fortunate that I have been able to dedicate most of my career to advancing Latino progress in American society. But I can honestly say that every professional experience that I've had in my life and all the things that I have learned have come together in this role that I now have at the Latino Policy Forum. Also, I'm equally proud that along the way I've learned how to nurture my spirit and my spirituality so that I can say that I can passionately bring that into this role as well. Women For Action: What sort of advice would you give any girl who is looking into her future? Sylvia Puente: What I would tell any young person that I speak to is every person on the planet has a unique contribution to make. I urge them to discern what their gifts are, what their unique contribution to make, what are they good at, what are they especially good at, and to build their career and profession upon that. Their gifts and talents should be the foundation for whatever they do in their career and profession. It's impossible in life to put a square peg in a round hole. It's hard to have that mismatch. So it's important for every person to discern what their gifts are, what their talents are, and to decide how to use them. Not everyone is going to do what I do, not everyone has a passion for policy and the passion for community change. However, everyone I hope is passionate about what it is that they get to do with their daily life. If someone specifically wanted to do this role or do work like this, he or she would have to have passion and heart for the community. It's important to have values, to know your values and what you value and to have that intact; you have to make hard decisions. My graduate degree is in public policy. I think the public policy degree is an excellent educational foundation to do this kind of work. 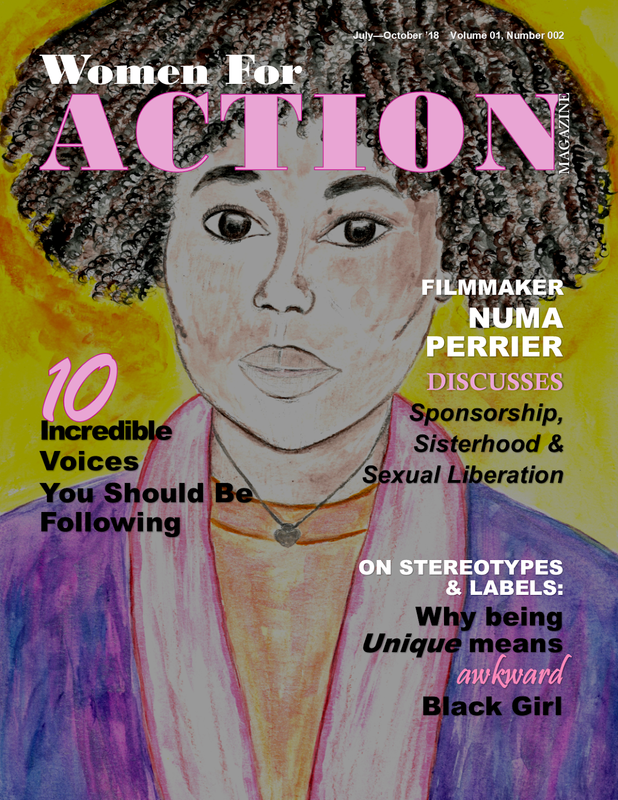 Women For Action: What’s next for you? Sylvia Puente: We are still building and growing the Latino Policy Forum. So I certainly see that my work here is not done. But what's next for me is knowing that I will leave this organization, and there will be more than one person who could step in the task. We would have built enough leadership. There would be enough people who hopefully will influence and mentor, and there will be more than one person who would be able to step into this role. I've been at this in some form or fashion for more than three decades; I am still aspiring to keep up a work-life balance, as well as how to cultivate my work-life balance and how to continue to nurture my spirit. 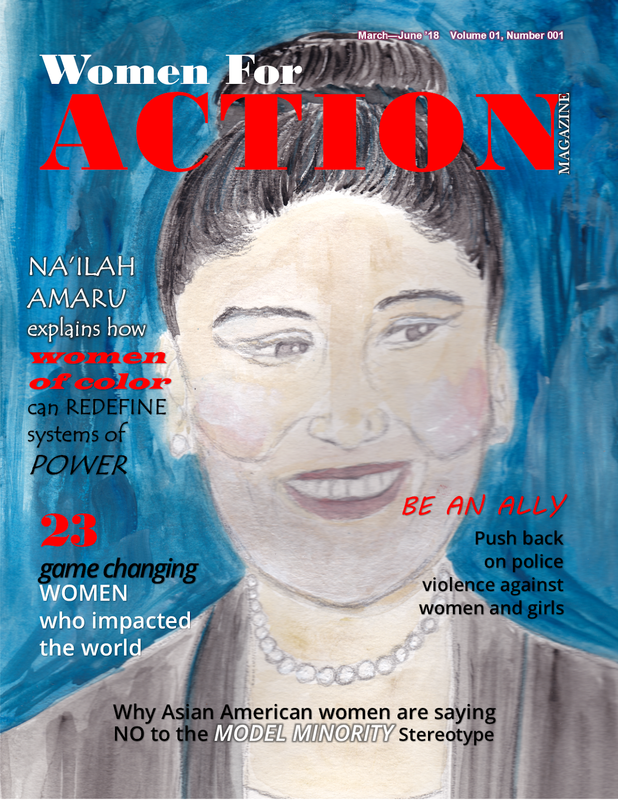 Women For Action: Do you see yourself running for political office? Sylvia Puente: No. Right now I have access to politicians at all levels of government. There are things you do as a politician. You get to vote on legislation. You get to inspire people. I feel I'd rather get to do it through the Latino Policy Forum where we get to inspire people, influence and impact policy. Politicians have their constituencies that they are beholden to, but it is a smaller geographical area. I feel I already get to do a lot of what a politician does, and I don't have to worry about running for office or the challenges of running for office. Women For Action: What personal note would you like to share with the Women For Action audience? Sylvia Puente: I want women in the United States to realize how privileged we are to have the right to demonstrate, to move the world as it is, to the world as it should be. We have both the capacity and ability to speak out. What a privilege is to have that in the United States without having to worry about being raped, being killed or being ostracized for doing so and even assuming leadership. Because there are so many places still in the world when women speak out and speak their truth, they can get killed. With the privilege that we have here in the United States, I would call on the Women For Action audience to do one thing, one little thing, to move the world as it is, to the world as it should be. Everyone has that capacity. Everyone is responsible and capable of leadership; I believe. It doesn't mean that every single person will be on a dais speaking to a thousand people. But everyone can mentor a young woman. Everyone can help a middle-schooler with their homework. Many people in your audience can make sure that a high-school student stays in school and doesn't drop out. All the same, they could help them complete their applications for college and could check their essays. All of those actions are actions for leadership. All of those and any of those actions are actions of moving our community forward. And every, every, every single person has that capacity, and I would even say, the responsibility to go beyond themselves, to take someone's hand and help them walk the next steps in their future. I gave this speech once. I was speaking to mostly professors and professionals from other countries who had a fellowship. So they were all leaders and well-educated in their home country. I remember a woman approaching me to say, "You're so brave. You are courageous!" At first the statement was a bit bewildering. I didn't quite comprehend it. But once we talked about it, it made me realize for her to do in her country— what I could do, what we can do, what any of us could do, what we could do freely, we can do without the threat of someone spying on us. We can do it without being thrown into jail. In her country, to speak out publicly would have meant that she would wind up in jail. And in some countries, when you speak up publicly, you can be faced with death. In the United States, women have the privilege of participating and speaking out.